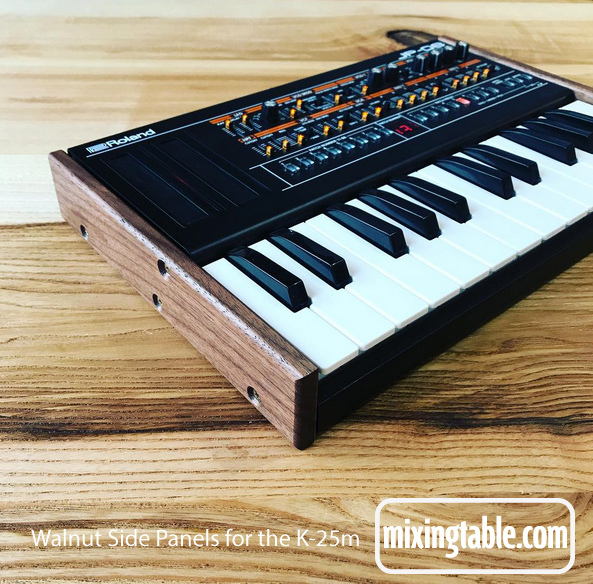 Solid hardwood side Panels for the Roland Boutique range by mixingtable. Comes with a complete set of mounting screws. 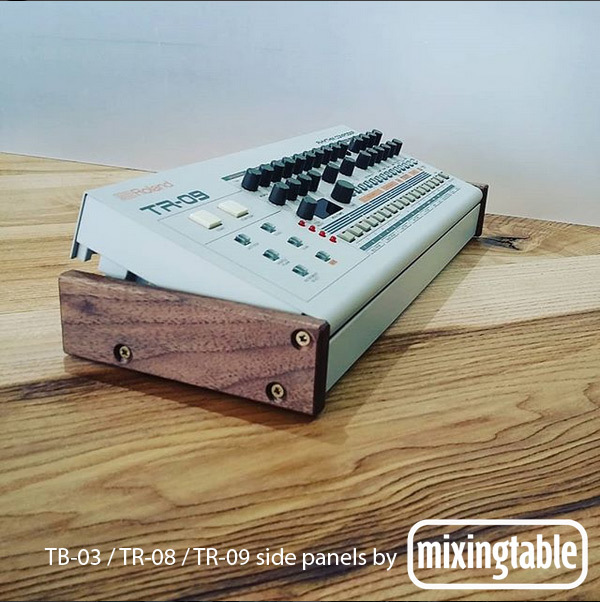 Simply unscrew the original metal panels and replace with the wooden ones.